It sure seems like a long time. Maybe it was before Christmas that I last worked with silver PMC. I don’t even remember the last time I worked with bronze or copper clay. I got ready by straightening out my tools, putting away other projects, and getting my metal clay bench in tidy shape as I figured out what I might do next. I actually had some specific earrings in mind; a pair I had made years ago and wanted to retry. 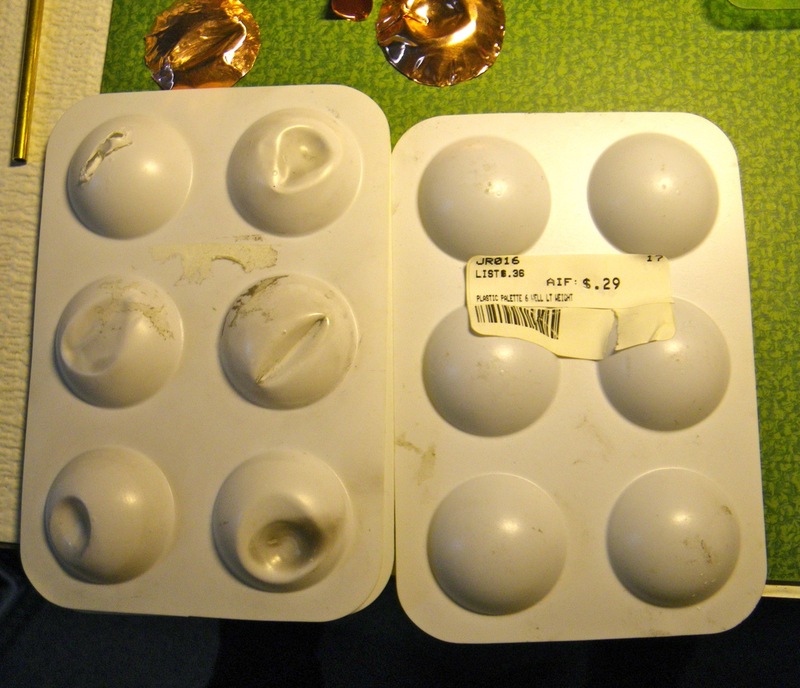 The original pair were hollow, flat on the back and domed in front with an off center dip in the dome shape. I could not find the original mold I made with a plastic watercolor palette, so I tried again to get the shape. These were not quite what I wanted, but I was not getting any closer with successive tries, so I worked with what I had. 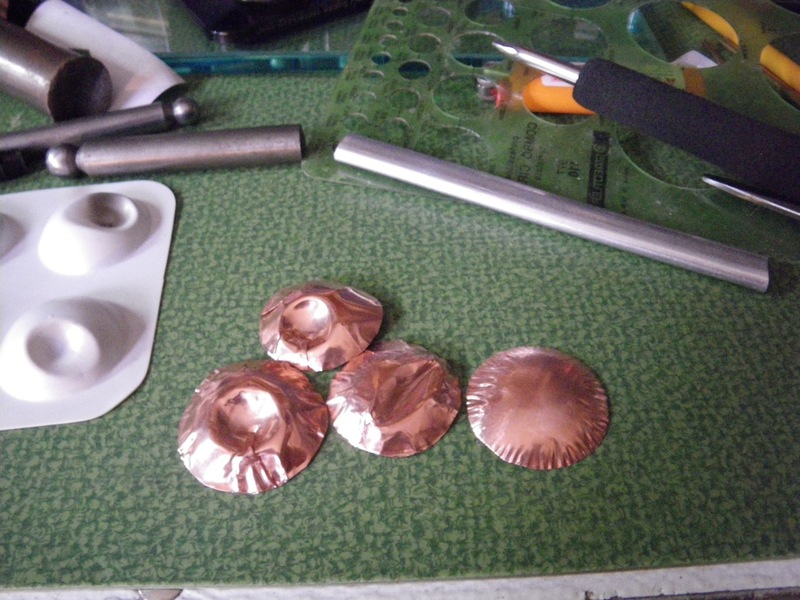 I wanted to use 40 gauge copper foil to recreate the dome and dip shape. 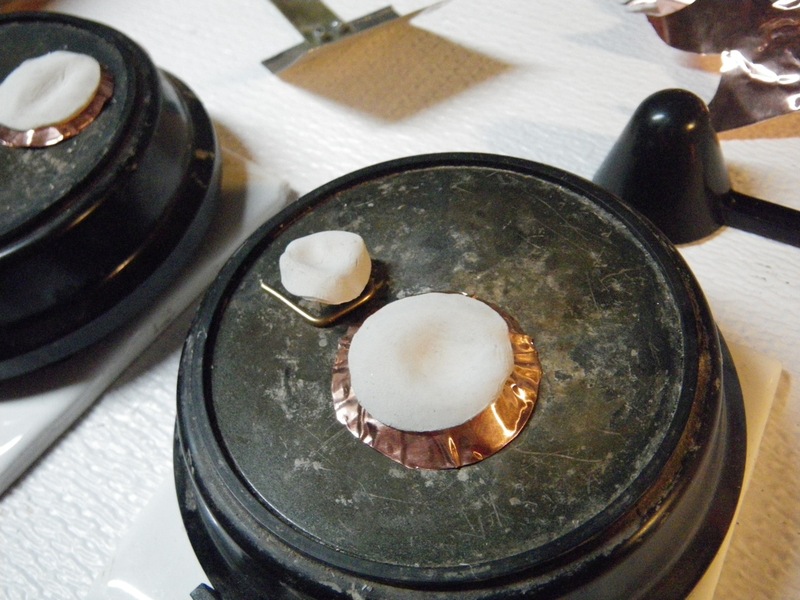 By having a little mold of copper, I can lay the metal clay on it and transfer it directly to my cup warmer. Using a metal form to drape and shape the metal clay is a handy little trick I learned last winter from my metal clay mentor J.Fred Woell. 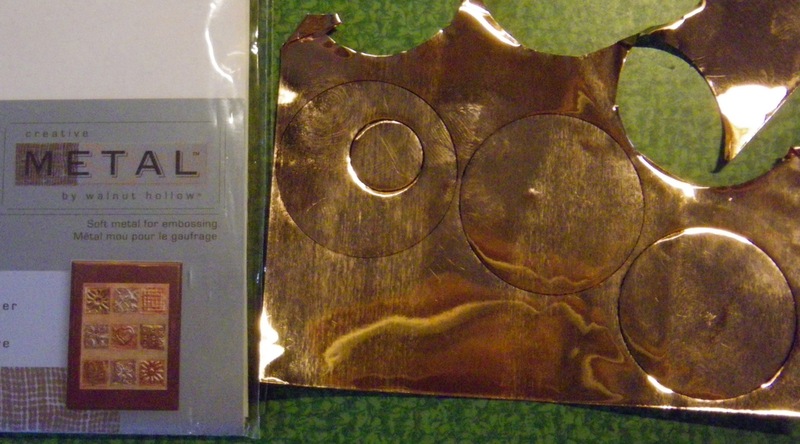 * The copper foil or wire heats up quickly, so the clay dries quickly and it doesn’t stick to the metal. Getting the foil shaped properly didn’t work as well as I had hoped, but I’ll keep at it. It may be that for this particular design I just have to wait for the dome shape to air-dry on the plastic water color palette. I have a few other tricks to try before I give up on this idea. 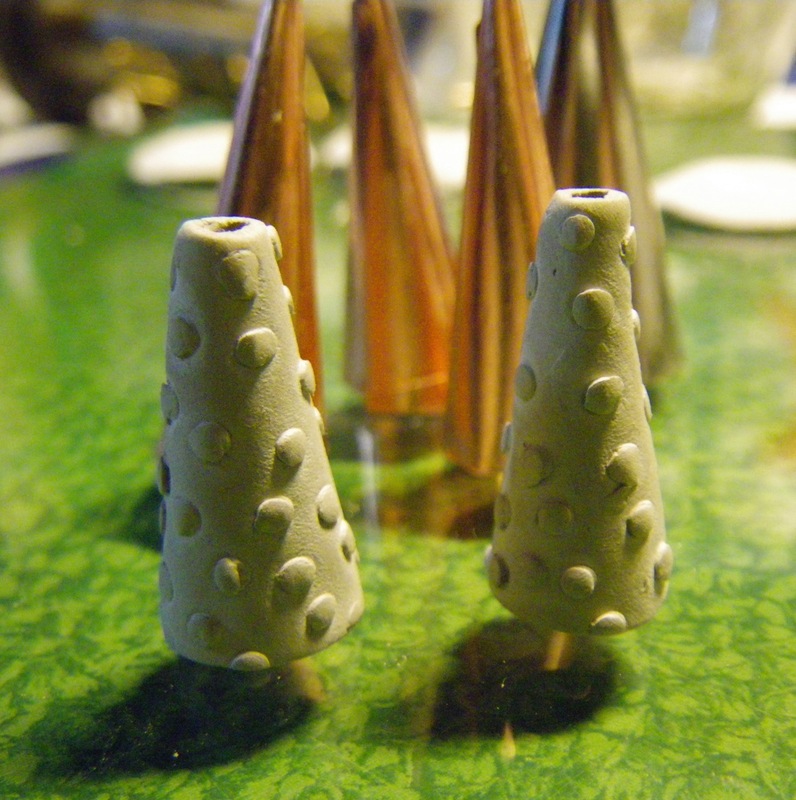 I also made some cone shapes out of the foil to use for shaping and quickly drying cones from PMC. I would like to use them more with multi strand sections of necklaces. I made some a while ago but they were too wide. I used this handy dandy tool I picked up at a conference to get a thin cone shape. Without the foil cones I could shape the clay directly on the plastic form, then wait and wait for it to dry, or dry it a little more quickly with a hair dryer. 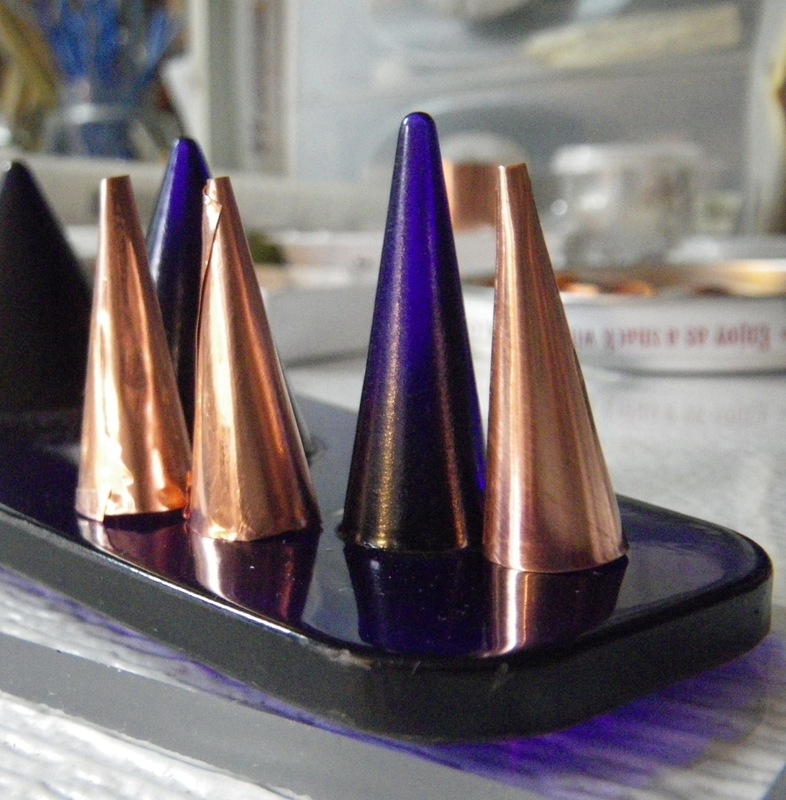 With three little copper cones, I can make 6 cone beads in the time it would take for one to dry enough to remove from the plastic form. The results were more predictable this time. 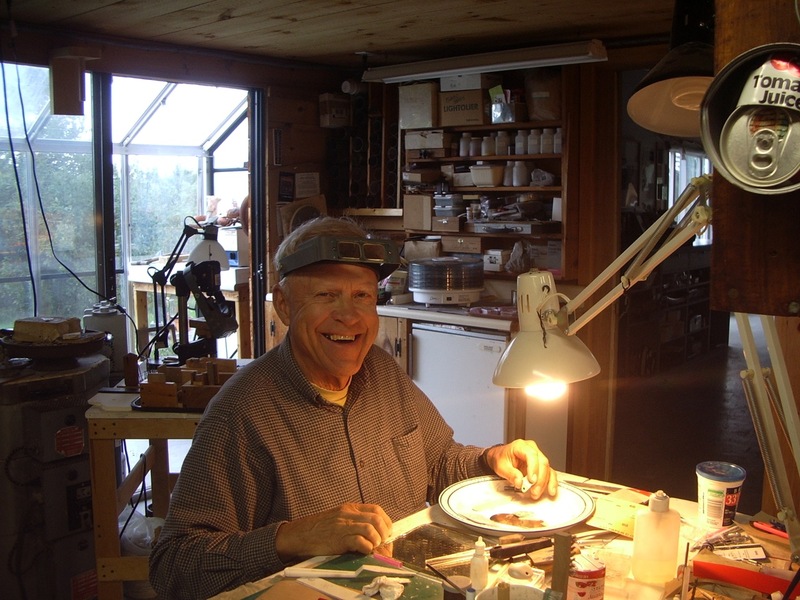 *To my friend and teacher, J.Fred Woell, congratulations on your well-earned recognition from the Society of North American Goldsmiths. 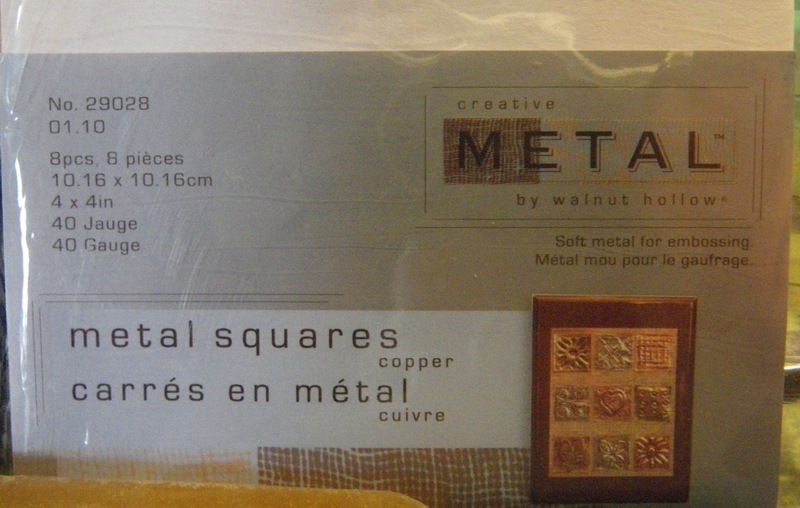 When you introduced me to precious metal clay in 1998 it changed my life!